Model United Nations, also known as Model UN or MUN, is an educational simulation in which students can learn about diplomacy, international relations and the United Nations. 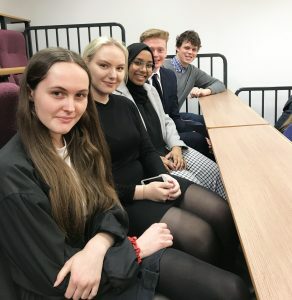 Five students took part in the local event, hosted by Portsmouth Grammar School in March, representing the countries of Turkey and Mexico. They covered a wide range of issues including climate change, war on plastics, conflict in Syria, foreign intervention in political institutions, human trafficking, emigration from Africa, waste management and obesity epidemic. Alison Cross, Deputy Head of Careers & Universities praised our students for their enthusiasm and mentioned how engaged our students were in the discussion of worldwide topics.